Need something to do today? Check out A Thing To Do Today in Munich. Here's A Thing To Do Tomorrow in Munich. Discover ideas for indoor and outdoor events and activities to see, do, visit and experience tomorrow for Munich. Have an adventure. Get a bird's-eye view of Munich. Munich's oldest church, St. Peter's (affectionately known as Alter Peter - 'Old Peter') also has one of the tallest vantage points of the city. 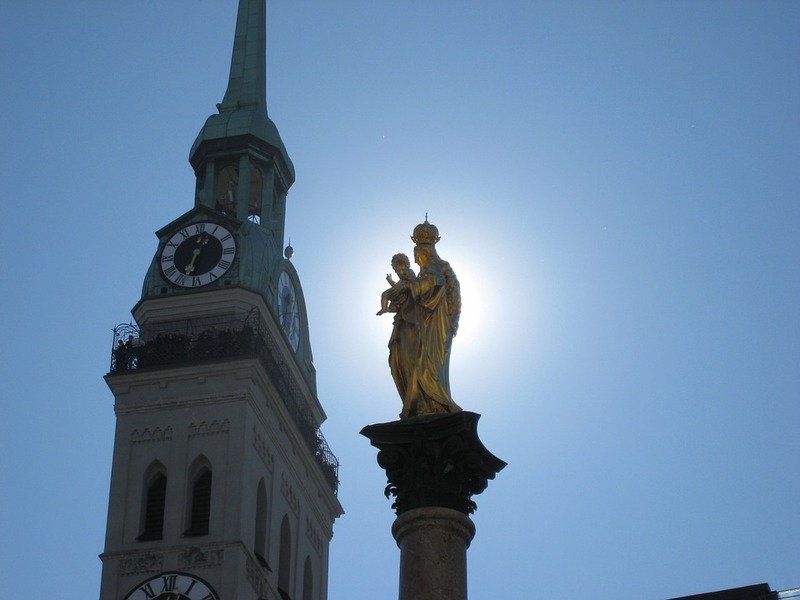 Once you've admired the artwork in the church spanning the centuries since it was first built in the 11th Century, climb up the 299 steps to get an extraordinary vista of Munich's Old Town from the church's hilltop tower. A Thing To Do Tomorrow generates things to do and places to go tomorrow, online and offline, this spring, for Munich and beyond - whether you're visiting Munich or a Munich resident. To see another thing to do, just reload the page. Find out more about the site, or for comments, suggestions, corrections, donations, or just to say hi, email john@athingtodotoday.com. Or check out social media @athingtodo.